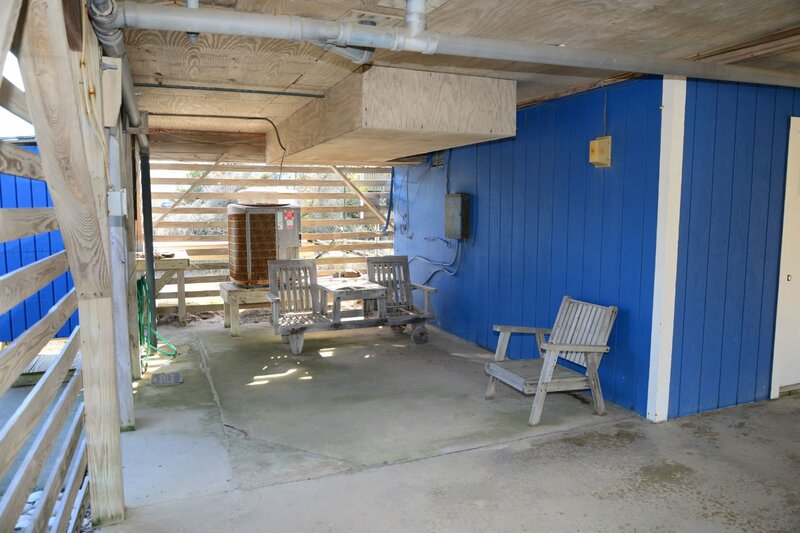 Address: 10025-B E. Pelcian St.
A Terrific Location, Ocean views & spacious interior are just part of what makes "The Blue Pelican" a great choice for your family's retreat to the Outer Banks. Situated on the Oceanside & just steps from the beach (3rd house back) this home offers Direct Access to the Ocean w/ No Roads To Cross. Everyone will appreciate Well Equipped Kitchen & Living Spaces on both floors. South Nags Head is a wonderful destination for a family vacation. You will find the quiet, low traffic non-commercial atmosphere peaceful & relaxing yet appreciate how easy it is to drive to the grocery store, restaurants, outlet mall & area attractions. There is a multi-use path that runs the length of Nags Head for biking, walking & jogging. The Oregon Inlet Fishing Center & the Outer Banks Pier are nearby for the sporting enthusiast. Ground Level: Parking for 4 Cars, Steps to Mid Level Covered Entry, Enclosed Outside Shower, Fish Cleaning Station, & Park Grill. Mid Level: Living/Dining/Kitchen Area, Flat Screen TV, Blu-Ray, Breakfast Bar, 3 Bedrooms (1 Master Suite w/King, Flat Screen HDTV, & Full Bath w/Tub & Shower, 1 w/Queen & HDTV, 1 w/Single), Full Hall Bath w/Tub & Shower, Laundry Area, & Covered Deck w/Deck Furniture & Horizon Ocean Views. Top Level: Large Living Area w/Flat Screen HDTV, Blu-Ray, Futon, & Small Refrigerator, Card Table, 2 Bedrooms (1 w/2 Doubles & 1 w/2 Singles, Duo Bunk, Flat Screen HDTV, & Blu-Ray), Full Bath, & Sun Deck w/Deck Furniture & Ocean Views. 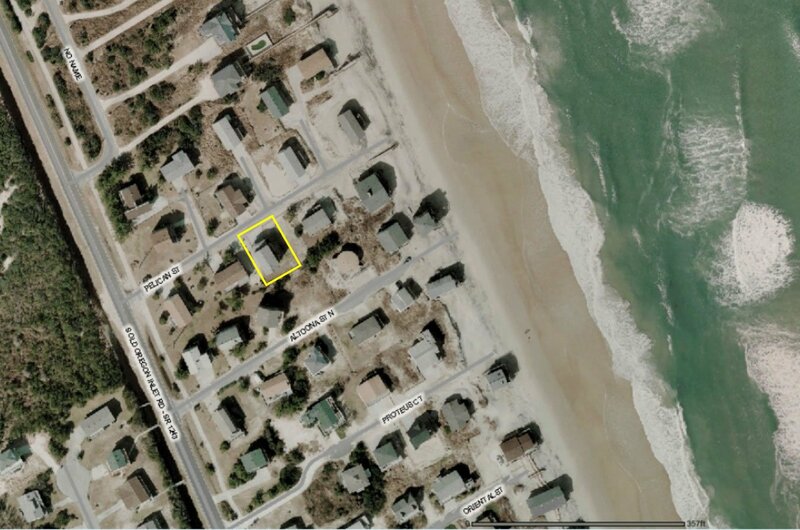 Features include: C/AC & Heat, Washer/Dryer, Dishwasher, Microwave, 2 Phones, 5 HDTVs, 3 Blu-Rays, Stereo, Wireless Internet, Baby Equipment (Pac-n-Play), Deck Furniture, & 30 Yds to Beach Access (No Roads to Cross). No Pets. This is a Non-Smoking Unit. Appreciated the upgrades - especially the new mattress in the largest bedroom downstairs. In light of hurricanes Jose and Maria, we appreciated the structural upgrades. We also enjoy the well-equipped kitchen. This was our 3rd September in a row in your home, and we are looking forward to staying there in 2018 as well. I loved the artwork and the location to the beach was nice. A lovely home. We enjoyed our stay. The access to the beach was great and views were great too!